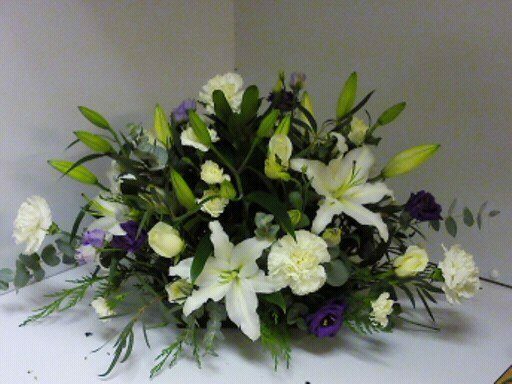 Lilly and carnation funeral spray of fresh flowers arranged in oasis. This funeral spray can be made in a variety of sizes and colours. All tributes comes with a hand written card with your own personal message. Funeral spray can be made in a variety of sizes and colours.